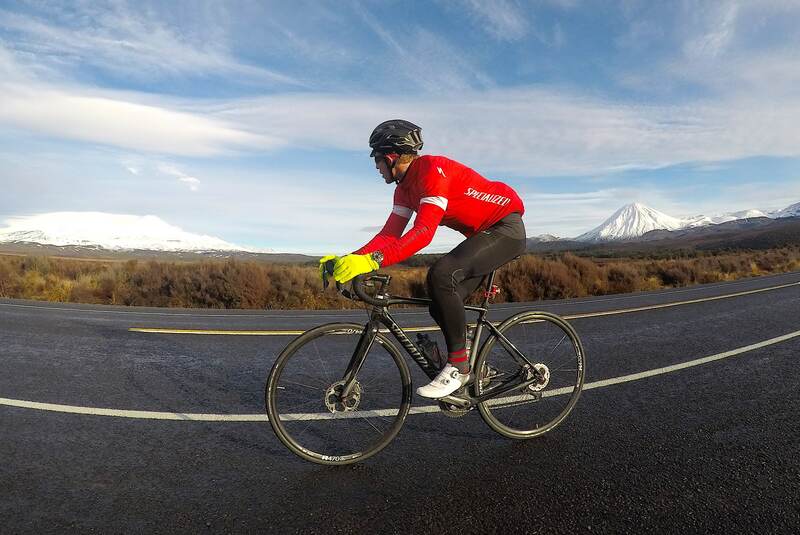 I recently road-tested the 2017 Specialized Roubaix Expert Di2 on my epic cycling adventure through New Zealand. 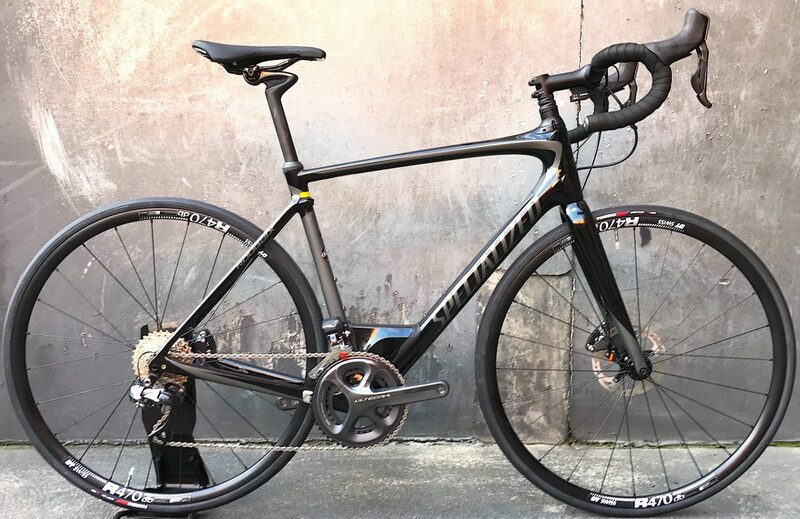 This road bike has been designed by Specialized to be a high-performance bike with exceptional comfort. It was given a thorough workout; almost 3,000 kilometres of riding across gritty, icy and wet roads in all manner of extreme weather conditions. I think you’ll agree with me when I say – many of us love high quality racing machines; from Ferraris to Kawasakis to aerodynamic road bikes. We just can’t get enough. If it can go faster, it’s better, right…? 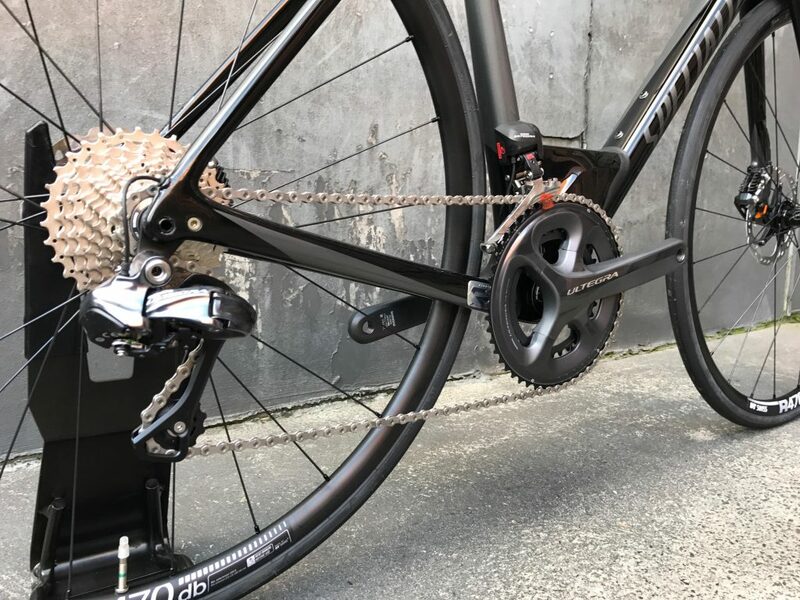 The chances of owning and riding the fastest and best machine on the road – the type used by the Froomes or Sagans on a steep French downhill – are within reach, as high end road bikes are far less costly than the motorised comparisons mentioned above. Whether it is brand new or second hand, you’ll see fellow cyclists cruising by on the latest modelled Venges, Tarmacs, Madones, Propels – and I’ll be riding past on the S-Works Tarmac. My trusty S-Works Tarmac race machine is a fantastic bike for riding around Melbourne and the occasional criterium bike race, but was it going to be suitable for a 13-day epic adventure totalling 2,336 kilometres across the length of New Zealand? 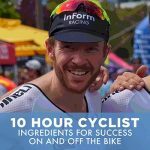 I had ridden the Tarmac over thousands of kilometres on harsh roads and in extreme weather conditions, but riding more than 180 kilometres per day over 13 days was a totally new and daunting prospect. That is over eight hours on the bike, day in and day out for two weeks! I needed a bike that was comfortable but could also perform strongly and consistently to get me through many 200+ kilometre days in the saddle. Prior to my adventure, I had heard and read lots about the famous Specialized Roubaix but I had never actually ridden one. To be honest, the old Zertz inserts in the seat stays and forks weren’t all that aesthetically pleasing to me. The new look Roubaix, however, had incorporated re-engineered shock absorbing systems so my interest in the bike was piqued. So when Specialized offered me a chance to test their famous cobble-inspired ride on my extreme New Zealand adventure, I was delighted and graciously accepted their offer. While I am a keen cyclist, I’ve never really logged serious kilometres across any given week. In the lead-up to some amateur tours I might have ridden 600 kilometres in a week, but that would have been the absolute maximum. My training for the New Zealand adventure would require a significant increase in the amount of kilometres ridden and time spent in the saddle. Once the decision was made to take this journey across the Long White Cloud, I had only given myself a mere six weeks to train. The first four weeks of my training regime were spent on the S-Works Tarmac. After easing myself into distance riding, I completed two back-to-back weeks of longer endurance riding. I covered 1,200 kilometres across Melbourne, including major ascents such as Arthurs Seat and Mount Dandenong. I was fatigued and sore, not so much in my legs but across my neck and my upper back. I had never sat forward for such prolonged periods of time across a two-week period and now I was absolutely feeling it. The stiffness of the Tarmac seemed to have moved all the way up my body. I began to seriously doubt if my body would be able to handle two weeks of riding more than 1,000 kilometres a week. I picked up the Specialized Roubaix Expert Di2 two weeks before my New Zealand adventure and, as luck would have it, a rare opportunity opened for me the day I collected the bike. My wife was taking our two little girls away for a week, which gave me an excellent opportunity to really increase my training workload. I still had work to do, but I was kid and wife free for seven days. The riding opportunities were endless! I rode 850 kilometres all across Greater Melbourne on my shiny new Roubaix Expert and my initial impressions were very positive. The difference in riding comfort was quite pronounced, particularly with the Roubaix’s shock absorbing systems, including the front ‘Future Shock’ suspension and the Cobble Gobbling seat post. As I dismantled the Roubaix in preparation for my flight to New Zealand, I was struck by a compelling physiological effect of my past two weeks of training on the Specialized road bike. Despite my longest week ever in the saddle, the neck and shoulder discomfort I had acquired from training with the Tarmac was significantly reduced over the course of that intensive training week. In fact, my body was actually improving, despite very long hours of saddle time. Could the shock absorbing systems of the Roubaix really be that good? I took the Roubaix on extremely coarse, gritty and icy roads in New Zealand. After the brutal New Zealand adventure, I got back on the S-Works Tarmac and was immediately reminded of the deep affinity I had shared with the Roubaix over my 13-day journey. The Roubaix was not only my companion for the most incredible riding experience of my life, it had completely changed the way I perceived fast road bikes. I originally wanted the word ‘comfortable’ in the subtitle of this part of the review, but I realised that the word ‘comfort’ is often associated with being ‘slow’. This is definitely not the case with the Specialized Roubaix. When an item of clothing or a pair of shoes fits you better – in that it is snug on your shoulders, waist or feet – it is guaranteed to be one of the most used items in your wardrobe. When I was chatting with the Specialized team about which would be best suited for me and my journey, they had originally suggested the Diverge. It was the new big thing down at the Specialized headquarters, and the team at NorthSouth had just used the same machines to ride the Faroe Islands. But after some further discussion, and given my specific requirements including distance, timeframe, and the proportion of sealed roads to Bluff – around 95 percent – the Roubaix won out. 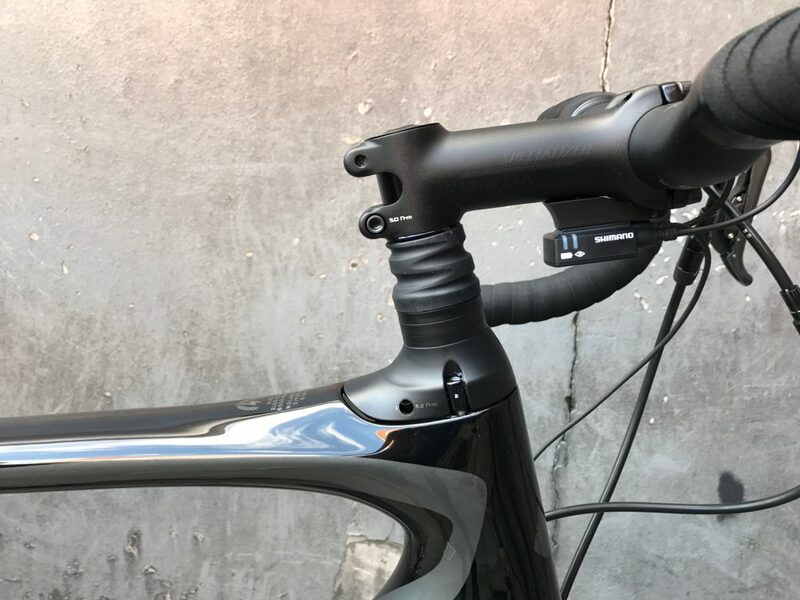 While the Roubaix has employed a slightly different geometry to its racing counterparts, particularly the exclusion of the rear stay and front fork Zertz inserts – the frame still closely resembled the Tarmac. The Roubaix is also lighter than the Specialized legacy SL4 model. In fact, the Roubaix had the lightest frame in the Specialized production line until the launch of their recent 2018 Tarmac range. Furthermore, the bike’s sleek looking prebuilt storage unit, which mitigates the need for a not so fashionable rear seat bag, is very progressive. But let’s be clear, this is not supposed to be an in-depth technical review. I rode the Roubaix for more than 2,000 kilometres over two weeks… what does that feel like? It’s difficult to review the comfort of a bike like the Roubaix without discussing one of its most vital components – the Future Shock. This new piece of technology has significantly shifted the concept of the Roubaix and was by far the most distinct capability of the bike. In its simplest form, the Future Shock is a suspension system positioned above the head tube. Through advanced technology and testing, Specialized recognised that focusing on vertical compliance, instead of fork splay, meant they could improve smoothness, speed, and comfort, all at once. It was this capability that reduced my neck and shoulder stiffness during the 850 kilometres of pre-trip training and it was the feature that mitigated all neck and shoulder complaints across New Zealand. The Future Shock is the standout feature of the Roubaix. The roads in New Zealand are a vastly different beast to what I normally ride on back home in Victoria. The roads on the North Island were exceptionally wet, while the South Island produced roads that were extreme; coarse, gritty, and at times, dangerously icy. There were roads I cycled on – in particular through Haast Pass, a mountain pass in the southern alps – that had such high levels of grit and gravel, that I wondered whether I should be cycling on them at all. These sections of roads were intentionally made this way, to help cars and vehicles grip the road during icy conditions, but when encountered with a light framed road bike, the road seemed like it was covered in mini cobbles. Consider then, after almost 2,000 kilometres of riding in my legs, these innocuous coarse roads suddenly became a very potential hazard as my body continued to fatigue. Yet, despite the hazards of the road, my neck and shoulder discomfort were virtually non-existent at that point in time. I couldn’t believe it! The Roubaix’s front suspension system comes with three spring strength options: soft, medium and hard. I had originally trained in Melbourne on the “hard” spring and transitioned to the “medium” spring for New Zealand. The choices were correct as my body could attest after the journey, but I also wondered what the ‘soft’ spring would feel like if the medium was sufficient for all the harsh roads encountered in New Zealand. Perhaps the soft springs are required for the toughest of terrains, reflecting the hellish cobbled classic after which the bike takes its name. For most other roads, I couldn’t see the soft springs getting much use. I had received plenty of warnings about the harsh South Island roads, and I was interested to see how the Roubaix would be able to handle these extremes. But on the road, the bike was amazing – perhaps all those New Zealanders need to give those roads a fresh try on the Roubaix! In addition to the front suspension absorbing the continuous shocks from the road, the Cobble Gobbler seat post performed incredibly during some of the toughest sections through the famous Haast Pass, in the deep south of New Zealand. As I neared the end of my journey, the Roubaix gave me some more insight into its performance and comfort, and I’d been sitting on it the whole time. The state of my behind quickly became a popular subject to all who were following my progress on Facebook and Instagram. So what happens when you sit on a bike seat for 89 hours over 13 days? How my behind would handle 13 long days in the saddle was a worry in the lead up to my epic adventure. My few big weeks of training in Melbourne before Ride the Long White Cloud had left me considering how I would tackle that challenge. 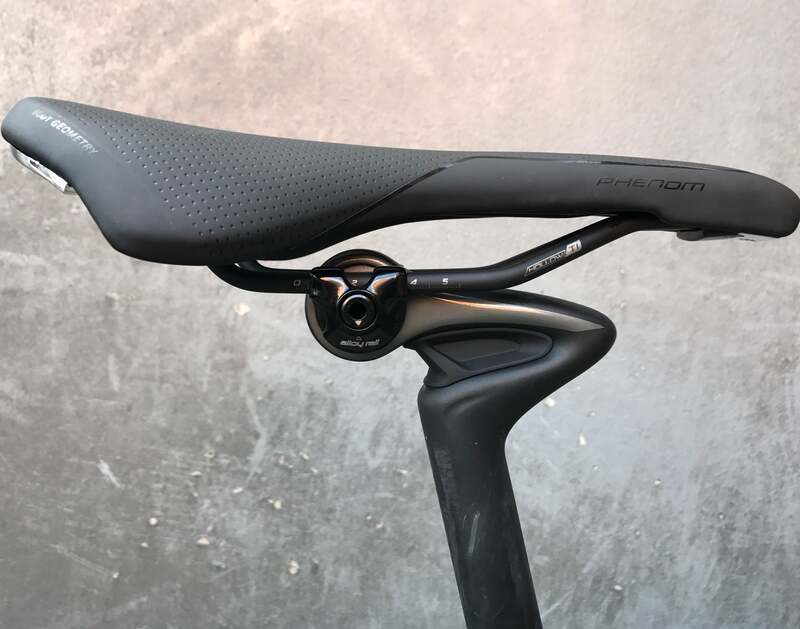 The Roubaix comes with a Phenom Comp saddle, which looks similar to the Specialized Toupe, but with more of a padded construction. While I am now considering testing this saddle on my Tarmac to really gauge its impact on my backside, I think the Cobble Gobbler also played a massive role in ensuring my rear-end got through the adventure relatively unscathed. The Cobble Gobbler has been designed to be stiff and compliant on well-sealed, forgiving roads, like what I am used to around Melbourne. This feature aligns with the race performance designs of the Roubaix. But once the Cobble Gobbler is given a major shock absorption test on unforgiving roads, it is clear how important it really is. When I hit the rough roads of the South Island, it was perhaps the first time I had really considered the impact a shock absorbing seat post could have. There were times during my 180-kilometre venture across Haast Pass that I literally looked down at my rear tyre, expecting to see a flat. The sensation was almost disconcerting, as though I had a small leak and my tyre was starting to slightly bounce over the deviations in the road. But there was no leak or flat, and it was simply the Cobble Gobbler working terrifically to mitigate the bumps. The good news is that your backside and lower spine won’t be wearing the brunt. Upon reflection, I realised that the Cobble Gobbler had been doing its job throughout my journey, but it was so effective that I, and my behind, had barely noticed it. It wasn’t a completely pain-free journey for my rear, but it was pretty close. Without the Cobble Gobbler, I’m worried to think of the damage that might have been caused. There were also no instances of finger or toe tingles either, which is a compelling statement in itself. If you take out the one day I only rode 75 kilometres due to horrendous knee pain, my average speed over the entire New Zealand journey was 26.5 kilometres per hour. Unfortunately, the Roubaix Expert doesn’t have an inbuilt power meter so I’ll never know my true power output for the ride, but I can compare my average speed to my last 140 kilometre ride in Melbourne, and make some assumptions. The power for my last long-distance Melbourne ride – down Beach Road, over Arthur’s seat and then through Red Hill, with some grit and gravel, was 219 watts. My average speed for that ride was 27.5 kilometres, riding on the Tarmac with 25 mm tyres. Throw in New Zealand roads, rain, hail, ice, dirt, gravel, a 30 mm rear and 25 mm front tyre and my average pace is only one kilometre less than the Melbourne ride example. Throughout my New Zealand journey, I’m certain I kept my regular endurance pedalling rhythm of between 220-240 watts. The numbers suggest that I was able to maintain a high level of speed and performance on the Roubaix, similar to what I would have done at home on the Tarmac, but through tougher conditions and with drastically higher levels of comfort and safety. While the frame and the shock absorbing technologies make the Specialized Roubaix Expert unique, the peripheral componentry should also be noted. The blended ingredients of the road bike include Ultegra di2 Components, DT Swiss R470 Wheels and Shimano RS805 Hydraulic Disc Brakes. I had never ridden disc brakes before I road-tested the Roubaix. Now that I’ve ridden them, the adage that went with electronic gears seems to be the case. Once you’ve tried it, you won’t want to go back. The disc brakes have substantially more braking power and effectiveness in the wet. Given that it rained for 8 out of 13 days, including three torrential days, the disc brakes provided much needed safety and gave me added confidence during moments of vulnerability. But perhaps the most profound feature of the disc brakes was the “modulation” benefits, meaning I had more control over braking pressure through the lever pull. This was particularly useful on many of the descents which had sharp hairpins and gritty, icy roads. The DT Swiss wheels were the quiet achiever of the Roubaix. I had put so much energy and attention into many other variables across my 13-day journey that I hadn’t even had time to contemplate wheel performance. Yet as I review the various tools used on my journey, I definitely recognise their achievement. They stayed true, a feat in itself, on New Zealand’s deadly roads. They rolled with precision and they enhance the appearance of the bike. What more can you ask? Added to that, the Schwalbe tubeless tyres were an impressive addition – find my review here. The Di2 Ultegra is reliability, performance and value for money all wrapped up into a thought provoking package. Why would you spend extra money on Di2 Dura Ace, outside of some tiny weight gains and the name? I’m not sure how much charge the Di2 battery had when I picked up the Roubaix from Specialized headquarters but it didn’t need recharging until halfway through the New Zealand journey – and that included the 850 kilometres I had already logged in Australia before departing. The reliability of a long-life battery was a welcome feature, especially when compared to the Sram eTap battery requirements. Is it time to trade the cliché aggressive racer for something that ‘fits better’? Feeling inspired by Cam’s fantastic experiences on the Roubaix? Check out the full range of Specialized road bikes for sale on Bike Chaser. That’s a great review. I am considering buying a 2018 ultegra Di2 version and your experience echos that of a friend who bought the 2017 model. I think I will take the plunge. Perfect sentiment, I am just about to purchase one of these and you’ve put the cherry on-top for me. Thanks Bike Chaser! Awesome! So did you own the bike or was it part of a loaner unit? FYI: I own a ‘17 Roubaix Comp and really love the FS, I basically just cycle through uneven roads and potholes with my fat 28mm tires. I hope Spesh will keep on working on FS and not go back to a rigid bike. Just want to say that I loved this thorough and well written article. Best regards. Renlee, is the workshop a Specialized Concept Store? Cause from the sound of it, it’s likely the person doesn’t know how to properly setup the future shock or you end up with a lemon, as many people has no issues with it. Nice review – really got the sense of what makes it work vs the Tarmac. I started looking at updating my old Trek Madone (I.e. Before it was aero) when the brakes on a wet day caused me to start thinking disc was the way to go. If updating, why not try electronic. I went back to Trek, tried Domaye and Elmonda but wasn’t convinced and then Tarmac and Robaix. Everything about the ride on the Robaix said pick me other than this stupid mental block that this was a ‘comfort’ bike…. ….I didn’t want to acknowledge that I didn’t want the Tarmac. Your review helped me to address all that. I pick up the Robaix next week. Hey Paul, sorry for the late response. Really appreciate the comment and I’m certain you’ll fall in love with this bike. Let us know below if you’re on it and have any feedback? I’ve now put about 1000 km on the Robaix – love it and the Di2. Shifting just became so fluid. I was in Queensand on some less than smooth roads and the Robaix just seemed to soak a lot of the bumps up. Every so often we hit some decent payment and it seemed to fly. The disc brakes worked well and addressed the concerns I had about wet weather. I’m very pleased with it. Thanks again for your review. I occasionally take part to triathlons with 40km bike, and in general I train twice a week, by commuting to work (~25km one way) or the classic 40km triathlon track in my town. Mostly flat – but I live in Switzerland and I plan to start climbing experience as well. After testing the 2018 Tarmac Disk and Roubaix Expert Di2 for myself at my local bike show twice each. I have decided to buy the Roubaix. While my test rides were only 20 minutes each, that was enough for me to decide on the Roubaix. I appreciated the review as it was reinforcement for my hands on opinion. The equivalent Tarmac was $6,700.00 compared to $5,000.00 for the Roubaix Expert DI2. The bike was sold out in my size (58 CM) so they had to order it. The waiting is the hardest part. I felt like the Roubaix had plenty of getty – up when I put the hammer down and it tracked beautifully on the bumpy streets. The bike felt very comfortable and much much faster than my Diverge , and almost as fast as the Tarmac. Cannot wait for my fittihg this weekend.